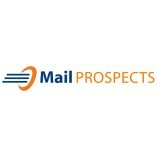 Mail Prospects is a global B2B Email List service provider. Our responsible service will help to find your right audience at the right time. The mailing list well - verified by a data scientist, so easy to access the data, save your time, money.... Our updated mailing list will bring the successful email marketing campaign to your business.You can try before you buy with our free sample email database.